December 25 is the day we culturally celebrate the birth of Jesus Christ. He was born in Bethlehem (Matthew 2:1, Luke 2:3). 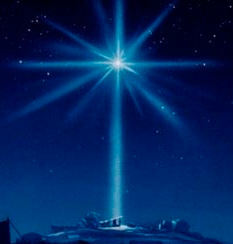 The point Christ was born in Bethlehem is also confirmed twice by an enemy of Jesus, King Herod. In Matthew 2:8 Herod sent the Magi to Bethlehem to look for the child. In Matthew 2:16, Herod had all boy children two and under killed in the town of Bethlehem. Christ’s birth in the town of Bethlehem fulfilled the prophecy of Micah 5:2 But as for you, Bethlehem Ephrathah, too little to be among the clans of Judah, from you One will go forth for Me to be ruler in Israel. His goings forth are from long ago, from the days of eternity. Where is the Biblical evidence for celebrating the birth of Christ on December 25th? Is this the day on the calendar when Jesus was born? Does the Bible support the date of this celebration? The answer is no. Look all you want, you are not going to find it. The date of Christ’s December birth is a man made tradition unfounded in the Bible. Christmas, December 25 is not a God Appointed Holiday. What evidence is in the Bible for when Christ may have been born? There are some clues, but there is no definitive statement. Evidence is circumstantial. Luke 2:8 In the same region there were some shepherds staying out in the fields and keeping watch over their flock by night. The grammar of the sentence states the shepherds were living in the fields as a lifestyle. They were sleeping out in the open fields. This was not a one night campout. The word “staying” is agrauleo in the original Greek text. The verb is present tense in the Greek meaning continual action. It is defined as: to live in the fields, be under the open sky, even at night (Strong’s Concordance). If they were doing this in late December, they would have been pretty miserable. Historically, shepherds are out of the fields past October. Grass does not grow in the winter. There is no pasture available for sheep to feed in late December. Shepherds are not in the field in late December. In the winter, shepherds are responsible for provision and feeding the animals. Often times in bad weather, sheep and shepherds would retreat to caves for protection. Sheepfolds or small buildings would also be built. These structures would keep sheep out of the wind and cold elements (Manners and Customs of Bible Lands). Matthew 24:20 But pray that your flight will not be in the winter, or on a Sabbath…-Jesus The context of Jesus’ comments is the Olivet Discourse. He is talking about leaving Jerusalem immediately when the antichrist defiles the Temple and claims to be God. His concern is traveling conditions that are noted in the region during winter. These areas are often impassible during the winter. Christmas celebrated on December 25th. Accurate birthday for Jesus???? I don’t think so, but do your own homework. This entry was posted on December 18, 2014 at 8:32 PM and is filed under Christmas, Gospel, Prophecy with tags Bethlehem, Christmas, December 25, Herod, Jesus Christ, Light of Israel, Luke 2, Matthew 2, Matthew 24, Micah 5, shepherds. You can follow any responses to this entry through the RSS 2.0 feed. You can leave a response, or trackback from your own site. Thanks for the Biblically correct teaching ! I pass it on to other believers at Hallmark ! God knows we need it ! Thanks for taking the time to study and keep us grounded in The Lord !! It’s you calling !! Some believe that Yeshua was born around Nissan 1 (which happens to be today). The clue is in the verse you cited in Luke. The shepherds were tending their flock by night. Baby lambs are only born in the spring, so that’s why the shepherds would be tending their flocks at night to help the sheep that were giving birth. The other reason for Nissan 1 (or thereabouts) as date for the birth of Yeshua is mathematical. Math is difficult for me, so without getting too detailed, the dating of Christ’s birth begins with the angel Gabriel appearing to Zachariah regarding the future birth of John the Baptist. The date of Zachariah’s clan’s season for service in the temple is found somewhere in Chronicles. From there, it’s possible to figure out when his service was over and thus when he’d be returning home to his now fertile wife, Elizabeth. Mary was pregnant when she went to visit Elizabeth, who was in her 6th month of pregnancy. There’s more but, like I said, math is a challenge for me. However, Rabbi Jonathan Cahn has a CD or DVD on the subject explaining why he believes Yeshua’s birthday to be Nissan 1. If this date is accurate, it would fascinating given that the lambs birthed at Migdal Eder were sacrificial lambs. Thank you for your excellent, well researched post. I appreciate it immensely. Blessings! That’s good stuff. I am going to check out Cahn’s video. I have heard a couple of compelling theories. My only conclusion is He was not born in late December. I suspect He was born in relation to the Appointed Feasts. Last night my son and I were out walking and he saw the sliver of the new moon and he jokingly said, “It’s the end of the world!” He has endured me with talk of moon cycles. We talked about how the site of the new moon indicated the Bible New Year and today was the day. Thanks for reading and taking the time to post. I also liked your post on Migdal Eder so much that I reblogged it on my Facebook page! I agree that the birth of Christ was probably connected to the Appointed Feasts. Some say Sukkot (Tabernacles), but others say Nissan 1 close to Passover. The imagery of the sacrificial lambs points to Yeshua as the Lamb of God. Tabernacles sounds like a reasonable alternative, although Jerusalem would have been mobbed with people in Jerusalem. In any case, it’s clear that Yeshua was NOT born on December 25. The Roman church put a Christian face on Saternalis and Mitras. I am so appreciative of your posts on this subject, the best I have seen yet. Thank you 🙂 P.S. I love the fact that your son’s paying attention to your analysis of the moon cycles. Out of the mouth of babes. Thanks for reposting on Facebook, much appreciated. Your comments are very kind and gracious. A significant point of Tabernacles is God’s desire to dwell or tabernacle with us. What a perfect way to introduce the Messiah to dwell with humanity, on Tabernacles. I have seen the support for both fall and spring feasts as it relates to the dating of John the Baptist conception and birth. People can “massage” the math both ways. It is an interesting riddle and brain twister. The conclusion I drew from the brief series was not when He was born. But that He died for sin, was buried, and resurrected. I would suggest this series on the Spring Feasts of 33 AD. The timing of the Passion Week as it relates to Christ and the Law of the Feasts in mind blowing and staggering, simply AWESOME. This absolutely blew me away when I got into this. Search “33 AD” on the website. Had a chance to listen to the Cahn video on the birth of Christ. That guy is excellent, very compelling and thanks for the resource. I always learn something from him. Hi. I confess I haven’t heard Cahn’s video yet, but my Messianic rabbi recommends it. Norm Franz of Assension Ministrie takes the view that Yeshua was born during Tabernacles. I’m glad you liked Cahn’s video. I must get it. Thanks for the heads up!